We all know just how combustible film can get. And when it comes to storing reels and reels of film, particularly with one of the largest and most significant moving image collections in the world, fire-proofing ain’t a breeze. Well, the British Film Institute seems to have done a pretty sweet job with it though, with Edward Cullinan Architects designing the BFI Acetate & Nitrate Film Store building, complete with all the energy efficiency you’d require from a building of this type. Covering an area of 3000 sq, the warehouse plays home to 460,000 canisters of film at -5°C and 35% relative humidity, and to keep it all from going up in flames, the designers included 4 industrial chillers, 4 dehumidification plants and 12 air handling units as well as heat recovery and a tight, heavily insulated and very air-tight envelope. In the land where soccer is considered more than just a religion, turning a soccer stadium green is like giving heaven a green makeover! 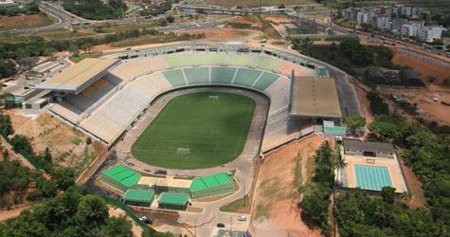 Nestled in the third largest city in Brazil, Salvador da Bahia, the Pituaçu Stadium will soon sport a 403 kilowatt peak (kWp) system that will begin juicing the stadium in September. Germany-based Gehrlicher Solar AG has teamed up with Brazilian environmental technology group Ecoluz Participações S.A. are working on the project called Gehrlicher Ecoluz Solar do Brasil S.A. When it comes to energy efficiency, OLEDs are right up there, and are expected to change the home-electronics industry for the greener good forever. 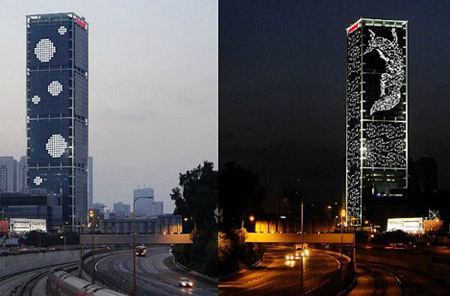 Israeli designer Meidad Marzan’s UrbanTiles concept uses OLED lights to spice up building facades aesthetically. These two-sided reversible tiles have photovoltaics on one side which collect sun energy during the day and OLEDs that light up using the energy collected at night. 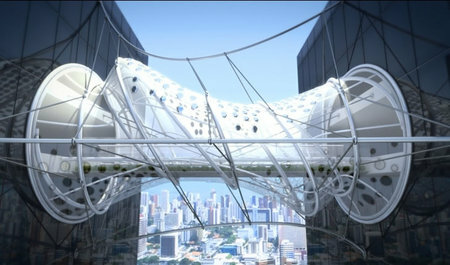 These when used on building facades could turn our city skylines into an eye-pleasing treat like never before! 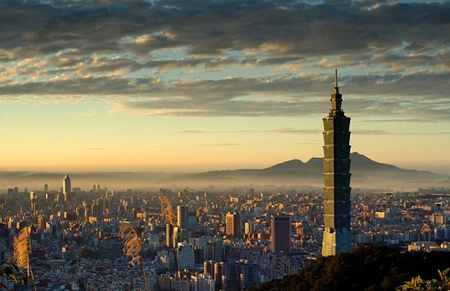 And after hours of efforts and sweat being put into making this skyscraper the greenest in the world, the Taipei 101 building has finally been accredited with LEED – EBOM Platinum Certification, breaking three records in the bargain and earning itself the title of the world’s tallest green building! With an approximate area topping 1.6 million square feet, the building set the Tallest Green Building record along with the Largest Green Building and the Most-user Green Building, given that it houses about a 90 tenants! The building sports waste reduction, energy- and water-saving systems and a bunch load of more technology ensuring that its office temperatures, humidity and carbon dioxide levels are all kept under check! The best way to turn the world into a greener place to live in is by turning our own abodes green. Take this eco-friendly home nestled in Chicago for instance. Chicago is known to have its temperatures drop and rise, and heating and cooling systems tend to extend the bills of residents by quite a few inches. 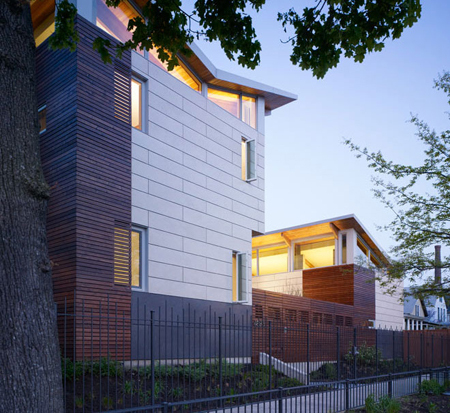 To solve this, local architecture and urban-design firm Farr Associates built a 2,600-square-foot house that’s nearly capable of completely powering itself! The house is currently being worked upon, with designers trying their level best to have it go net-zero. Complete with water recycling, forty-eight solar panels, geothermal walls, radiant heat systems and ultra efficient windows, this home is as green as it gets! And with homes around the globe shifting closer towards green, it’s only fair that every girl’s beloved childhood doll lives green too. The winning design for the Architect Barbie Dream House design competition left us smiling like babies, literally, and that isn’t just because we’ve been staring at toys all this while. The Malibu Barbie Beach House design by Ting Li and Maja Parklar uses eco-friendly décor and includes a bunch of sustainable features like solar panels and energy efficient designs. 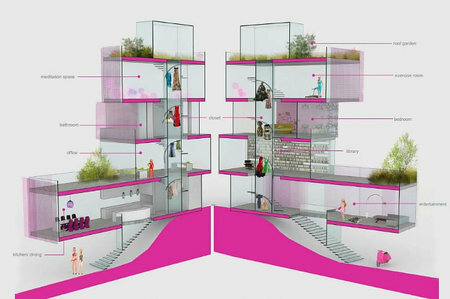 The house also sports green roof spaces, making it a true green place for Barbie to reside. Proper healthcare, particularly in developing nations and areas far out of reach, is more or less a luxury. Mostly, the people living in areas as these don’t really have a good enough access to healthcare facilities, which leads to spread of diseases and sickness amongst populations. Designer Kukil Han has come up with a great way to address this concern, designing a mobile hospital that can be easily airlifted and taken to desired locations. 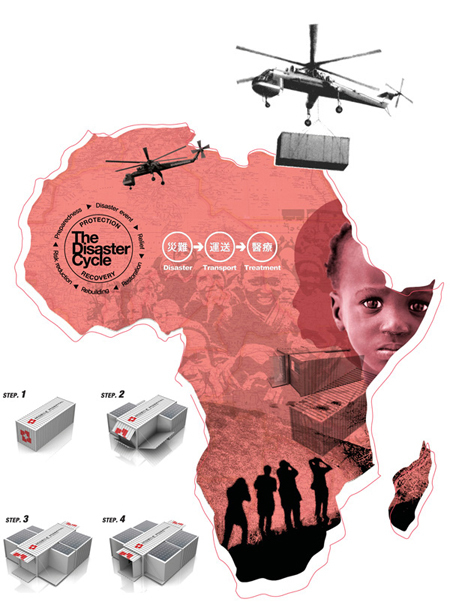 Particularly great for use in disaster hit areas, this mobile hospital can be taken to just about any place a helicopter is accessible to, be it a flood-hit area, earthquakes, tsunamis etc. 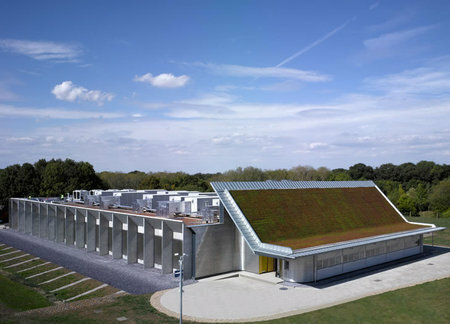 completely sustainable, this one uses solar energy to charge up. The London 2012 Olympic Games is putting in every bit to remain green, and its newest exploit of environment-friendliness is the Pavillion designs pouring in for the event. 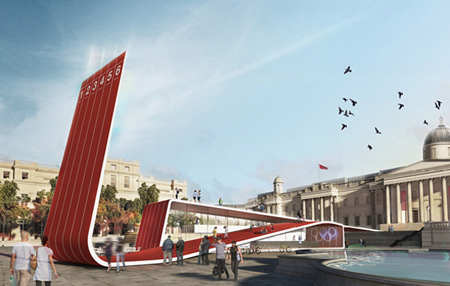 What caught our eye the most however, was the 3rd place entry, basically a folded athletic track, meant for the Trafalgar Square. Complete with a display screen to throw up information in regards to Olympic events and such, this pavilion is unique and green, given the fact that it’s made from Nike “Grind” recycled running shoes. That’s not all. This one was also designed keeping sustainability in mind. Besides connecting two ledges and providing for a sturdy walkway across an otherwise inaccessible route, bridges can do a lot more, like say, purify the air too. Winning first place at the Building to Building Pedestrian Bridge International Challenge, this shape-shifting helix green bridge design was conceived by Sanzpont and uses a tensile fabric that allows the bridge to move as visitors walk. Also, this one soaks juice from the sun to light up at night with linear LEDs, giving it a striking organically illuminated visual in the night time. And with for a cherry on top of this delicious cake, this bridge also purifies the air in its immediate surroundings.